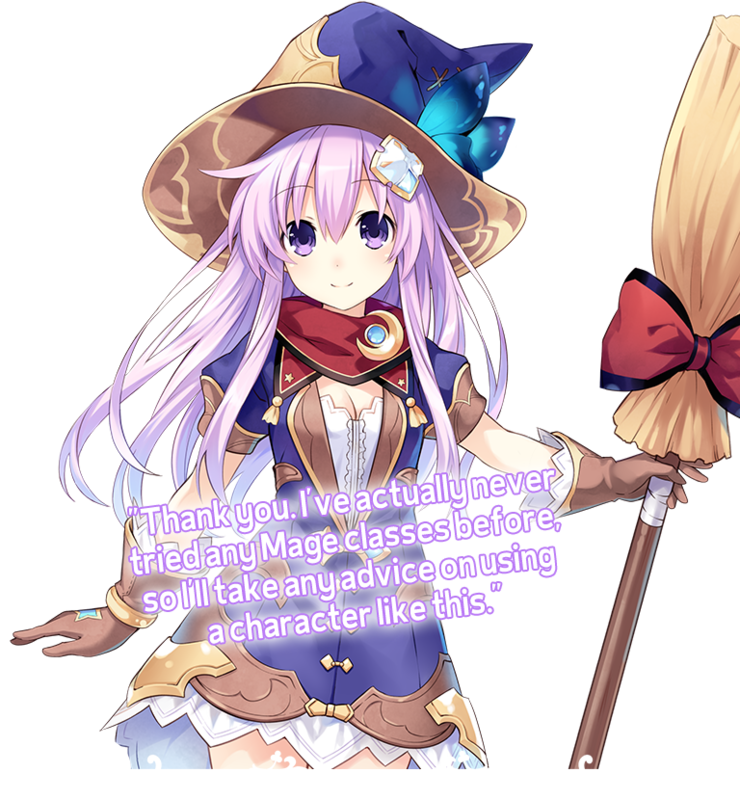 The Goddess Candidate of Planeptune, and Neptune's younger sister. She's often mistaken as the older sister because she is so incredibly reliable, but she doesn't pay this any mind. The constant kindness she shows Neptune conveys her love rather clearly. and she's very knowledgeable when it comes to machines and network systems. Because she's investing herself in this fantasy world, she's a little worried about losing that side of her personality. 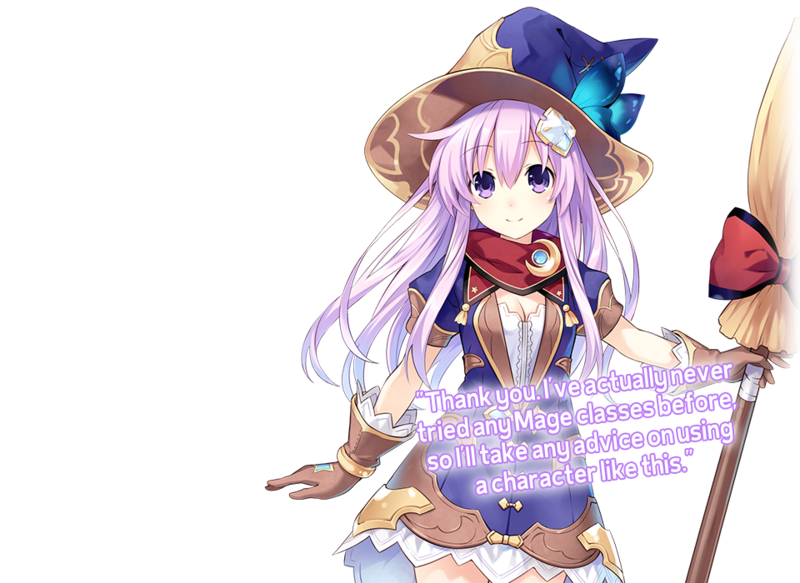 She has chosen the Mage class. Her defense may not be the greatest, but she is able to unleash powerful magic from a distance.